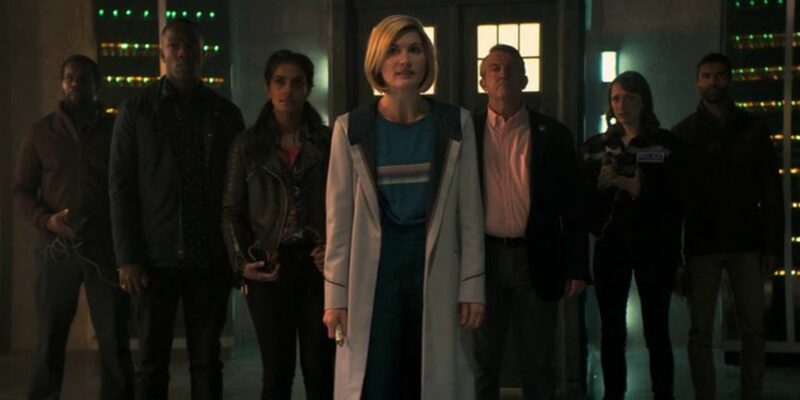 Description: “Many Doctor Who fans have been excited about Series 11 focusing on inclusive, diverse storylines and production issues. Although many fans welcome these changes, a small minority has been vocally resistant to greater diversity in media. Please join several Chicago-area Who fans for a lively discussion of how Doctor Who and other science fiction are facing unique challenges – and driving positive results – in fostering inclusion in geek and nerd media. Description: “Why was Twitter moved to tears by an action figure? How can a bellydancing Wookiee fight for marginalized creators? Join a panel of notable Asian-American writers, academics, and performers for an interactive discussion on representation in pop culture and the difference between the diaspora perspective and the homeland one. We’ll also celebrate Asian-America’s historical contributions and spotlight how diverse creators are shaping fandom now. This will be fun! Dawn Xiana Moon: Founder/Director of Raks Geek, the nerd bellydance and fire performance company that’s garnered acclaim from MSN, UK Channel 4 TV, and WGN-TV, and a singer-songwriter who’s performed in 10 states and released two albums. Michi Trota: Three-time Hugo Award-winning Managing Editor & Nonfiction Editor of Uncanny Magazine (the first Filipina to win a Hugo Award). Wesley Sun: Founder and Writer for Sun Bros Studios, which has released multiple comic titles and raised over $40,000 on Kickstarter. Mary Anne Mohanraj: Author of Bodies in Motion (HarperCollins) and over a dozen other (primarily science fiction) titles, founder of Strange Horizons, and a professor at the University of Illinois – Chicago. Mark Martell: Director of the Asian American Resource and Cultural Center at the University of Illinois – Chicago. Looking forward to seeing you at the con! 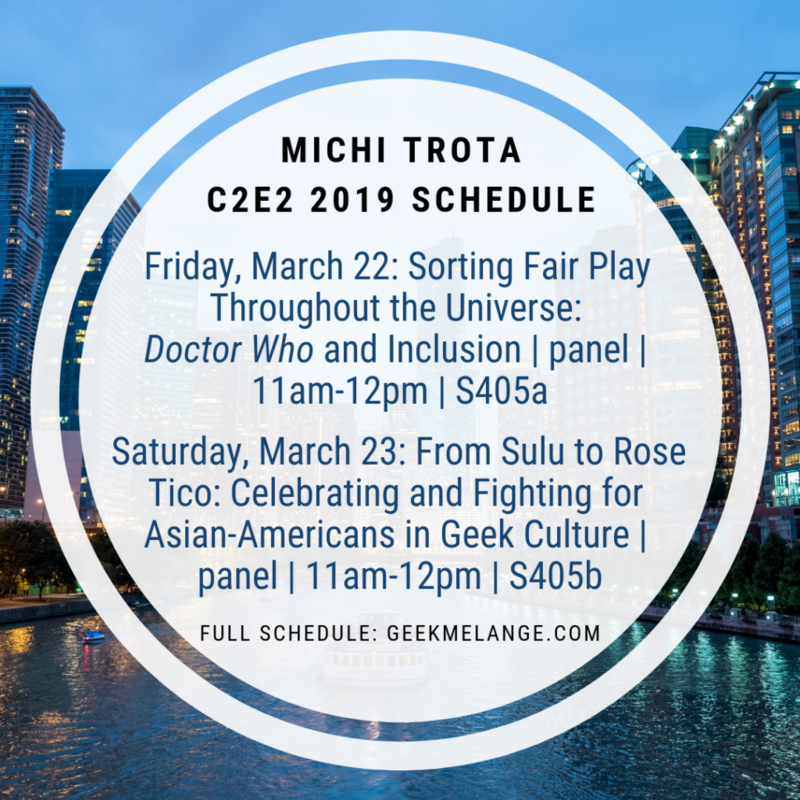 This entry was posted in Cons, Culture and tagged Asian American, C2E2, diversity, Doctor Who, geek culture, inclusion, panel by Michi Trota. Bookmark the permalink.